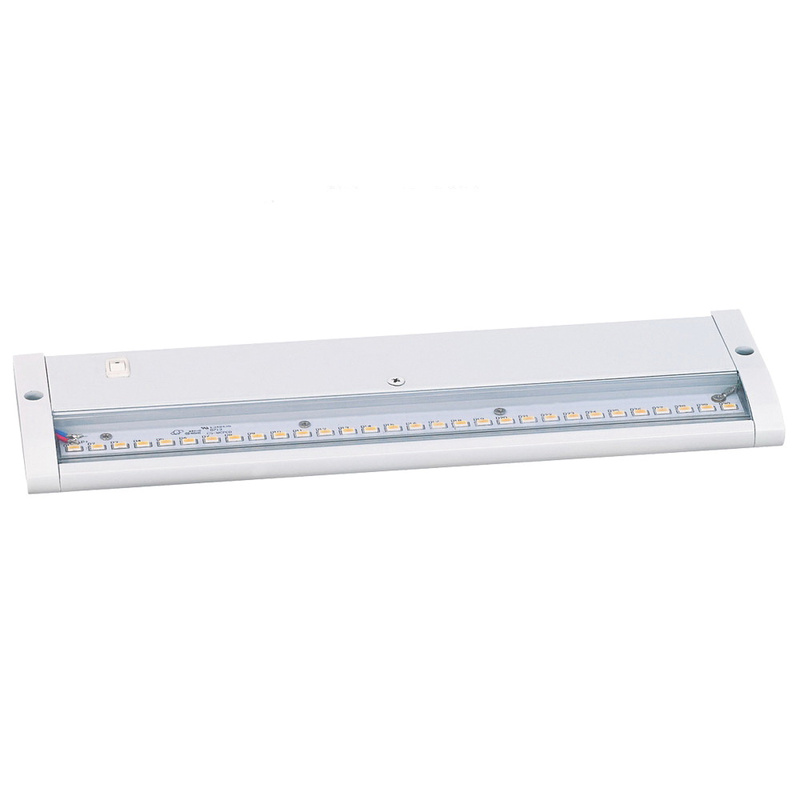 Sea Gull Lighting Self contained light easily fits under cabinets where the lighting is necessary. The tightly clustered array of 30 to 45 premium LED chip packages helps to combine the high lumen output with uniform distribution. The standard TRIAC dimmers dim the power supply down to 15% with electronic low voltage (ELV). It produces 817-Lumen of bright light with a color temperature of 2700K and 80 CRI. This light has a voltage rating of 120-Volts AC. The dimmable light in white painted finish, produces warm white colored light and has an average life of 50000 Hours for durability. It has aluminum housing that helps in self cooling. This light replaces 90 to 105-Watt xenon/halogen task lights. It is suitable for damp locations. It comes with conduit cable adapter and direct wire knockouts at back and sides. The light meets cETL and IES LM79 standards.